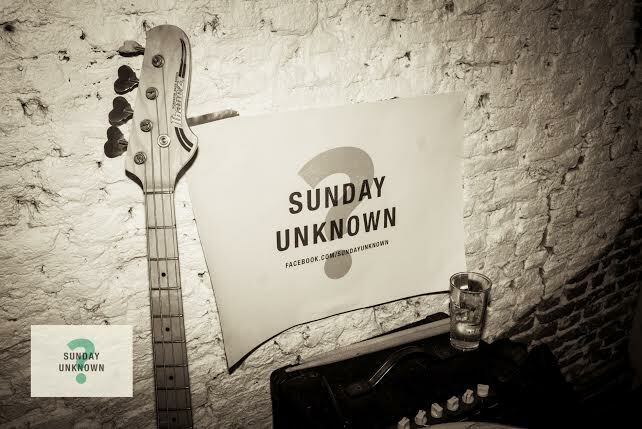 Do you know why Sunday is my favourite day of the week? It’s easy, jazzy and my red wine always tastes sweeter. Friday madness is then already a memory you can whisper about with your good company. Having a hangover is totally accepted, so having brunch with eggs and pancakes is too. I once met a couple of guys who even had a song for this holy rest day. I only remember the dreamy line ‘Super Sundaaay’, but maybe that was all. Here’s an event that perfectly fits the tail of your weekend. Working for Q-music Sophie Keyzer meets good musicians every week. But leaving the studio these talents seemed to vanish. To offer them a stage Keyzer invented Sunday Unknown. An evening filled with live music in a different café every time. Last edition the small Struik was packed with people listening to young singer-songwriters. The cosy setting of a bar makes it low-key enough to just ease on down and enjoy. For this January edition Ruud Fieten, Iris Muller and The Given Horse will join the stage at café De Walvis in West. I wish you all a crazy Friday but I’m already looking forward to Super Sundaaay.